The Most Valuable 1 Month Internship Experience! I’m so grateful to be selected as one of the 12 participants out of 1.200 Indonesian applicants to experience one month internship program from July 10th until 8th August 2017 at Siam Cement Group Headquarter, Bangkok, Thailand. There are 45 interns from Cambodia, Indonesia, Myanmar, the Philippines, and Vietnam who participated in this program. Our journey started here! SCG is ASEAN business conglomerate which operations encompassing three core business units: SCG Cement-Building Materials, SCG Chemicals and SCG Packaging. SCG International Internships is an annual internship which offers opportunity in certain fields: Human Resource, Marketing, Legal, Branding, and Engineering. SCG provides everything for us: return tickets, hotel, some local transportations, and allowance. I was in charged in HR Overseas Business Partner Division in SCG Packaging. Each intern was given different project to be finished during this one month and was being guided by a mentor. Division and project are assigned based on our major in university. 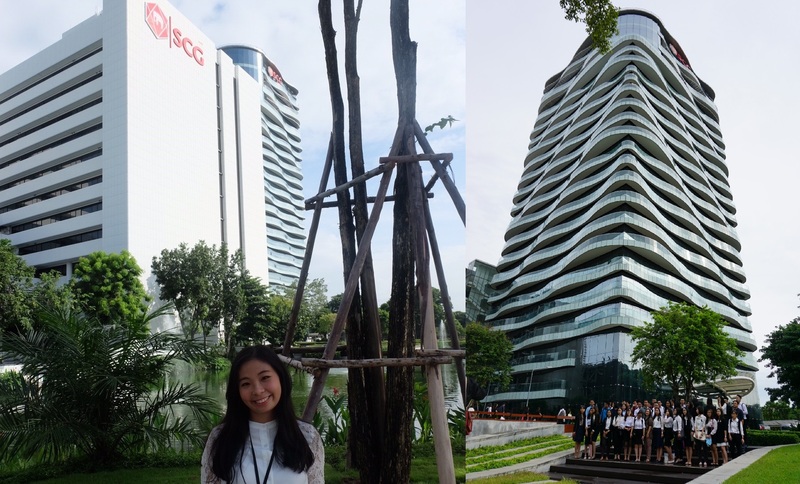 Through this internship, SCG let me experience the real international working experience which gave me new insight about the future career I would like to have. I made a new family in Thailand! As some of us were being placed outside Bangkok, we gathered every weekend by the activities managed by SCG. We visited some tourist attractions such as Grand Palace, Queen Sirikit, Safari World and many more. For the first time in my life I experienced watching Football Match in a stadium which was established by SCG. I was super excited. We went outside Bangkok to visit SCG plants in Rayong Province and Saraburi Province. I’ll conclude that SCG is a very inclusive workplace where young talents can grow and improve themselves. Lastly, I’d like to say Khop Khun Mak ka, pʰî (Thank You to all older brother and sister) in SCG for giving me a new memorable life lesson and to all of the 44 interns who had made my most valuable 1 month internship experience. Also, I’d like to express my gratitude to BINUS University for supporting me to join this program.